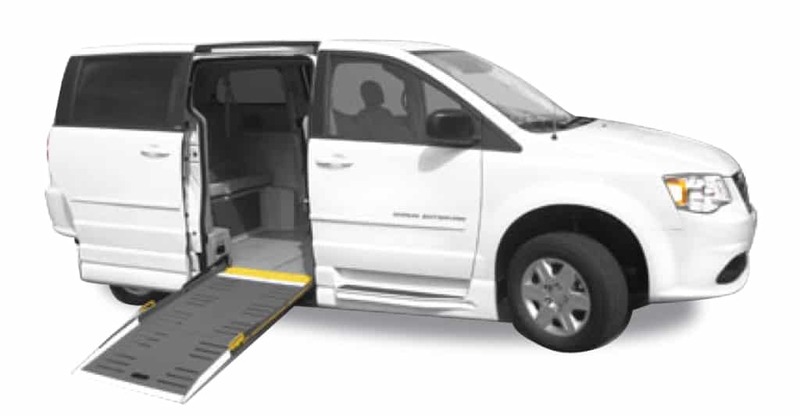 The Dodge Side Ramp Wheelchair Minivan offers style, performance, convenience and safety that have been aesthetically blended to achieve a new level of refinement in a wheelchair accessible minivan. Utilizing the Dodge Grand Caravan chassis, it has a handsomely finished automotive look. Both the passenger side and the driver side sliding doors have been lowered to match the floor level with no sill or other obstructions to step over. This standard feature also allows for a better wheelchair turning radius, making it easier to maneuver while inside the vehicle. This wheelchair minivan is perfect for senior living communities, churches, non-emergency medical transportation, and even personal family use. It comes standard with a manual side ramp, removable front driver and passenger seat, and a wheelchair securement position in the front passenger area.